In what is perhaps one of the biggest bombshells of the newly-leaked WikiLeaks documents, emails show that Democrat groups created "Catholic" organizations with the intent to trigger a "Catholic spring" revolution to change basic Church teachings. An email from John Podesta asserts that "we" Catholics in Alliance for the Common Good as well as the group Catholics United in order to do this, but admitted that they probably lacked the leadership to actually be effective. The email Podesta was responding to referred to the Church as a "middle ages dictatorship" that was in desperate need of change. 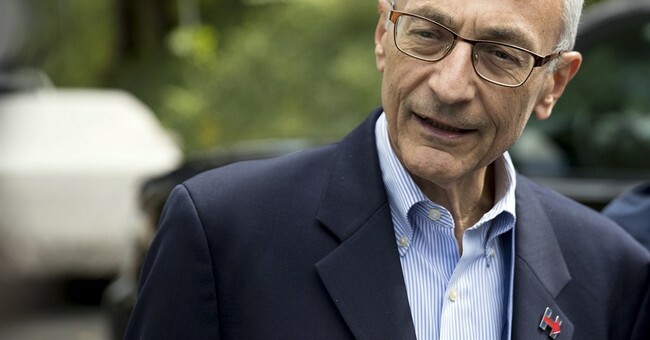 Podesta is Catholic. This is the second Catholic Church-related bombshell to emerge from the WikiLeaks documents in as many days. On Tuesday, emails by John Halpin, senior fellow at the Center for American Progress, were released that mocked Rupert Murdoch for raising his children Catholic, and also said the Church had "severely backwards" views on gender relations. Clinton's communications director Jennifer Palmieri responded to that email saying that high-profile conservative Catholic converts probably only converted because the religion is "socially acceptable." Catholic Vote and The Catholic League have both called on Palmieri to resign from the Clinton campaign. Firstly, any attempt to trigger a "Catholic Spring" would probably fall flat on its face, and this truly speaks of the arrogance of American progressive Catholics. The Church has not changed her teachings in 2,000 years, and it's going to take more than a small group of progressives to do that. Secondly, people convert to the Catholic Church for a multitude of reasons--not because it's somehow "socially acceptable" or because the practices are "backwards." That's ridiculous.